The long-awaited 2.5 patches come to the Mac App Store! 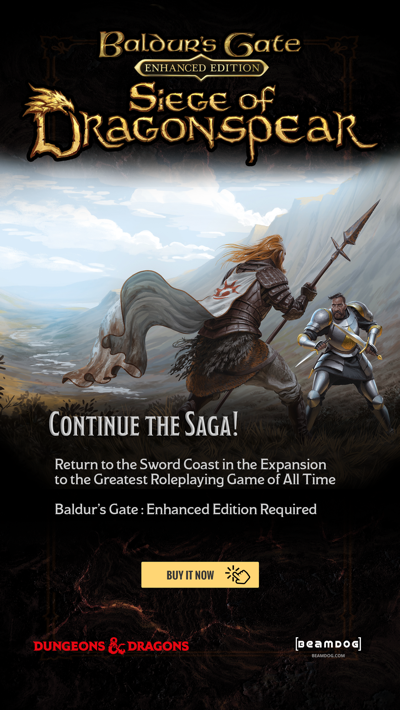 [Read it in Sarevok’s voice] The 2.5 patches for Baldur’s Gate: Enhanced Edition, Baldur’s Gate II: Enhanced Edition and Icewind Dale: Enhanced Edition are live in the Mac App Store! Flesh and blood and bone! They are alive! Ha-ha! We swore the patches would scratch and crawl their way back into the Mac App Store... and we have done it! 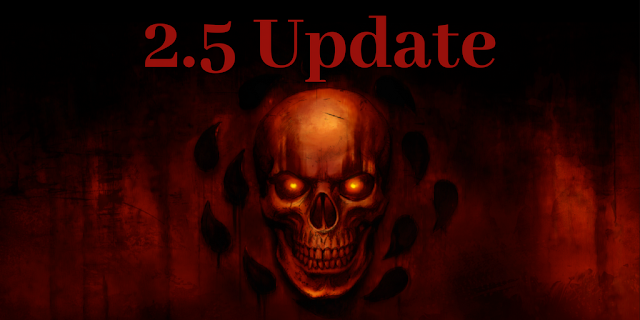 The 2.5 updates for Baldur’s Gate: Enhanced Edition, Baldur’s Gate II: Enhanced Edition, and Icewind Dale: Enhanced Edition are coming your way. Now you can play your favourite games fully updated to the 2.5 version, with over 1 600 bug fixes and new features! If updates aren’t immediately available, please be patient as the patches are populating through the Mac App Store. If you run into any issues, please let us know via our customer support team and the Beamdog forum. 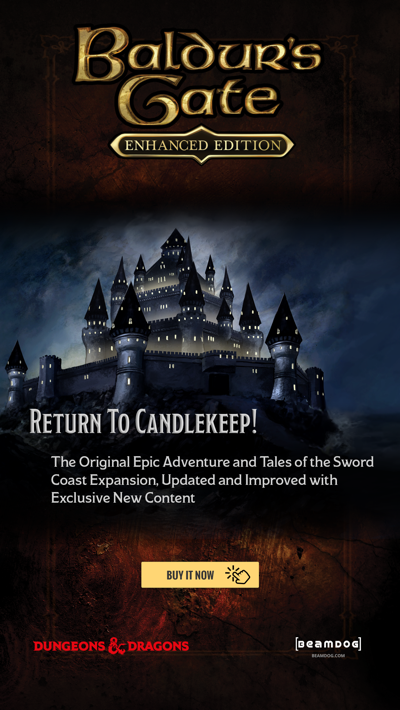 - the list of 2.5 Icewind Dale: Enhanced Edition fixes and features, the list of additional updates for Icewind Dale: Enhanced Edition.